They say that everyone has their "A Ha" moment. A time in their lives where something unexpected happens and it absolutely changes their life for ever. My "A Ha" moment did come very unexpectedly. It was during this photo vacation to the southwest that something very special happened. 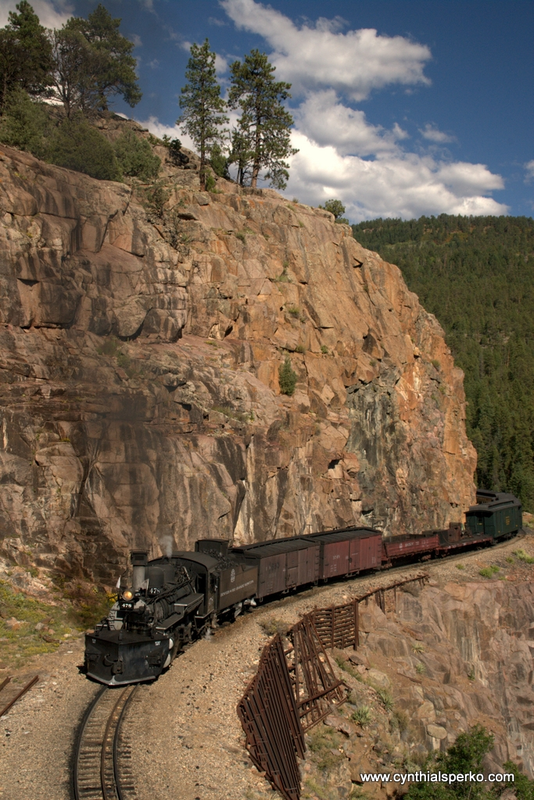 One of the places we photographed, and one of the main reasons for the trip was experiencing the Durango and Silverton Narrow Gauge Photographer's Special Train. This is no ordinary train ride. It was an all-day adventure traveling the vintage steam locomotive to Cascade Canyon and back to Durango. 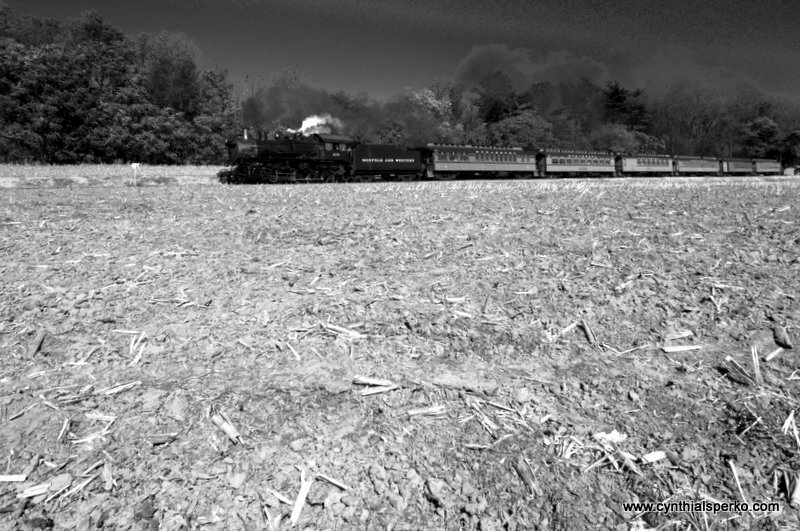 The very special event on this rail ride was getting a chance to capture the steam locomotive while off of the train. Yes, the Durango and Silverton Narrow Gauge Photographer's Special (during autumn) allowed us to photograph the train passes (runbys). The day began while it was still dark. It was a cold crisp morning with temperatures around 32 degrees. I now wished that I brought a warmer jacket. I had on multiple layers, including a t-shirt, sweat shirt, and winter vest. I also had fingerless gloves on and my trusty dusty blue Tamron baseball hat. (This hat has traveled with me on multiple vacations.) I was still cold. We were to board the steam locomotive in Durango Colorado. It was a one hour drive from our place to Durango. The sun was beginning to rise as we boarded the steam train. I was surprised that the rail cars were not full, but that changed when the locomotive made a stop in Silverton Colorado. Now that the morning sunlight lit the inside of the rail cars, I was able to take a really good look around. It was like we stepped back in time to the 1880's. Not only was the inside rail cars placid of yesteryear, but the volunteers and engineers, etc were dressed in vintage attire as well. (It even had an old fashioned heat source which heated us up quite quickly.) It seemed like we should have been dressed in similar attire. Approaching our first official train pass stop, we climbed out and spread out along the scenic fields. 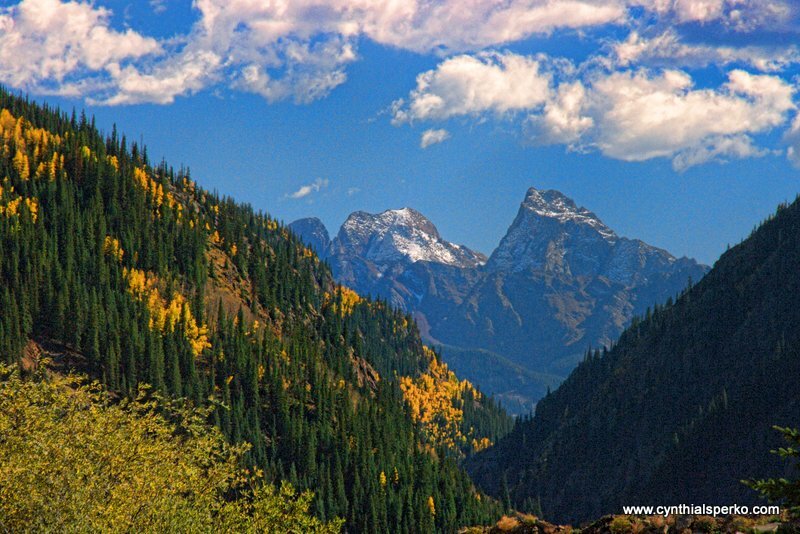 The San Juan Mountains in the distance glazed with the autumn sunshine and cobalt blue skies overhead. I couldn't believe that I was in my element capturing vintage railroad in the southwest. Another thing that made this trip special was that the places we were able to photograph were places that you can only get to by rail or by hiking. We spent the rest of the day getting on and off the train and setting our cameras for more amazing locomotive imagery. By our second rail pass, our jackets were no longer needed as the temperatures were now in the mid seventies. For lunch, we were served an authentic meal of pulled pork sandwiches, chips, baked beans, and soft drinks. The food was delicious! We also received a insulated hot/cold tumbler as a souvenir. The final rail pass was the best one of the tour! All of the stops were awesome. The final one was my favorite. I was a little hesitant to get up on the ledge so I photographed a few train passes not too close to the train tracks. Doug insisted that I get on the ledge and I'm so glad that I did. The image shown was my absolute favorite from the DSNGR. It was also published in Trains' Magazine in October of 2013! My heart sank when it was time to return to base. On the way back to the station I looked at the hundreds of photos I captured of the rail passes, etc. It was so amazing and definitely a trip to add to your bucket list. 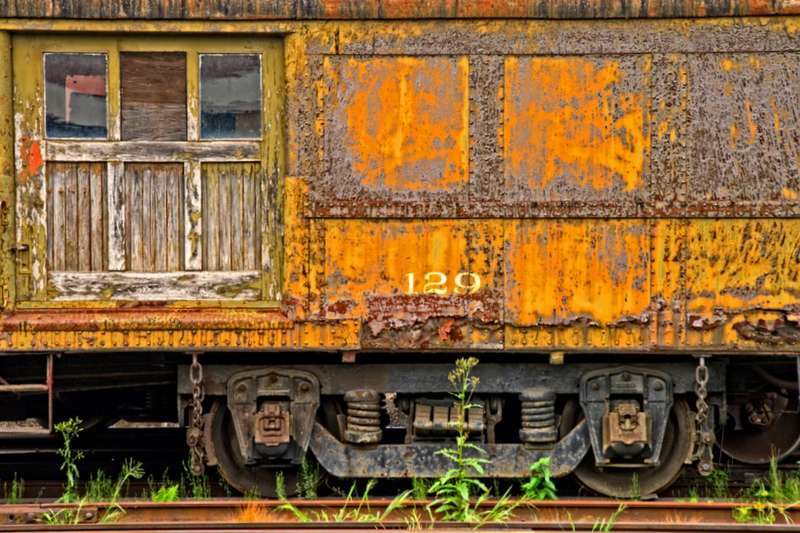 So that is the story of how vintage railroad photography entered my world. It's hard to believe that it has been nearly 8 years. Durango is another place I would love to go back to again. Someday it may happen. Thanks for reading another blog post. I hope that you enjoyed the read. Feel free to share so that others may learn more about the DSNGR.